Normalair Underwater Club is a social scuba and underwater hockey club at Emmarentia Dam, Johannesburg. Club nights are every Wednesday from 18:00. 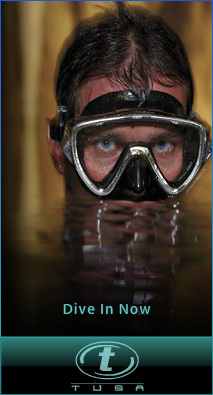 Apart from social gatherings at the club we also do dive training , dive trips, Underawter Hockey and Spearfishing. Scuba diving is possibly one of the most rewarding activities you will ever embrace! It is a gateway to experience a world filled with exotic, playful little creatures that will entertain and amuse all that are privileged to venture below the waves. You will experience total weightlessness and tranquillity as you glide through kaleidoscopes of colour and over reefs bursting with life just waiting to be explored. Scuba diving is safe, FUN and easy….. join us for an Adventure of a lifetime and book your place on the next Open water course now! We run courses almost every three months or on special request pending on the number of students - Please see our Face book page NORMALAIR UNDERWATER CLUB schedule for the next available dates. All training materials including a manual, log book and dive tables. An Internationally Recognised CMAS Certification Card. Accommodation in Sodwana /Mozambique at reduced prices. One Year Club Membership fees. Entrance fees to Miracle Waters/Bass lake. Please note that many people erroneously rush out and buy snorkelling equipment before attending the lectures. Scuba Diving is a specialised sport and your instructor is there to advise you on the most suitable equipment for you – Please wait for your equipment lecture to avoid any unnecessary expense!